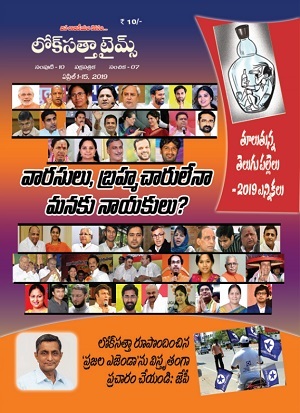 In a bid to firm up its electoral prospects in the next elections when the BJP could emerge as an adversary , the Telugu Desam Party (TDP) has silently undertaken a survey to ascertain the strength of various castes in both Andhra Pradesh and Telangana. Towards that end, a question seeking the caste status of each person is being asked in the membership enrolment drive currently undertaken by the party in both states. “For the first time, soon after the address, the prospective member is asked his caste status. We have no negative intentions in seeking the same. The question is only to understand how the caste factor works in the political dynamics,“ senior TDP leader Kala Venkatarao, who is in charge of the membership drive in AP, told TOI. According to party sources, the main pur pose of including such a question in the mem bership form is to ascertain where the loyalty of a certain caste lies. 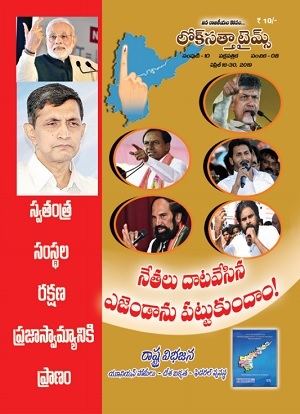 While the par ty leadership is aware that Kammas are its tra ditional supporters, with many backward castes backing it, it is also a fact that the TDP does not enjoy much support among Malas and Reddys, while the Kapus have been found to be switching loyalties between the Congress and TDP. “By getting to know which caste is swaying which way , we can focus on them and try to win them over,“ said TDP sources. In the membership drive so far, nearly 8 lakh people are said to have renewed as well as taken up active membership of the TDP in AP. Party leaders said that the insurance cover plan being offered as an added incentive on payment of Rs 100 has greatly increased the number of active members. The insurance cover cannot be availed if one takes up general membership costing Rs 10. However, the scene in Telangana is not so rosy with the TDP hav ing enlisted only a lakh members so far. “… నిజాయితీగా ఉందాం: ఎన్నికల సమయంలో అభ్యర్థి కులాన్ని పరిగణనలోకి తీసుకోకుండా టిక్కెట్లు పంపిణీ చేయడమనేది రాజకీయ పార్టీలకు సాధ్యం కావడం లేదు. దేశంలోని చాలా ప్రాంతాలలో కుల విధేయతలే వోటింగ్ తీరు తెన్నులను నిర్ణయాత్మకంగా ప్రభావితం చేస్తున్నాయి. ఉత్తరప్రదేశ్లో మాయావతి జాతవ్ ఓట్ల పైన, ములాయం యాదవ్ ఓట్ల పైన ఆధరాపడుతున్నారు. కర్ణాటకలో లింగాయతులు, వొక్కళిగల మధ్య, ఆంధ్రలో కమ్మలు, రెడ్ల మధ్య అధికార పోరాటాలు ఇక ముందూ ఉంటాయి. “Dr.JP reiterated his view that caste could be eradicated in the long run through inter-caste marriages and the Government could encourage them by giving certain incentives.